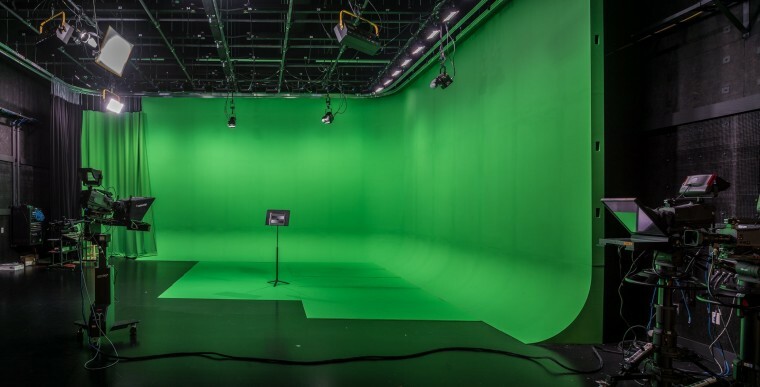 Overcoming considerable challenges, re-use of an early modern structure for School of Media & Communication reveals remarkable, technologically-advanced teaching environment. Designed by disciples of Bauhaus-founder Walter Gropius, BGSU’s South Hall is a rare-for-Ohio example of International-style architecture. 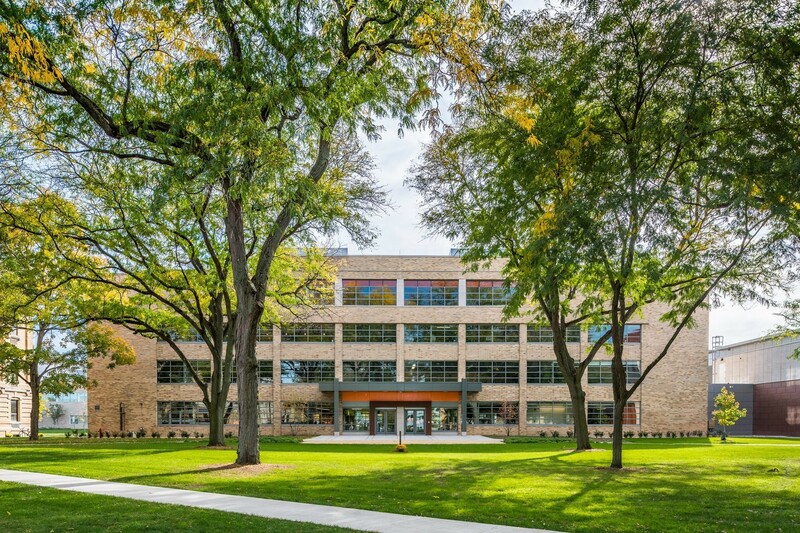 Characterized by rectilinear form and taut, planar surfaces stripped of applied ornamentation, at the time this style was regarded as the progressive aesthetic for housing modern culture. 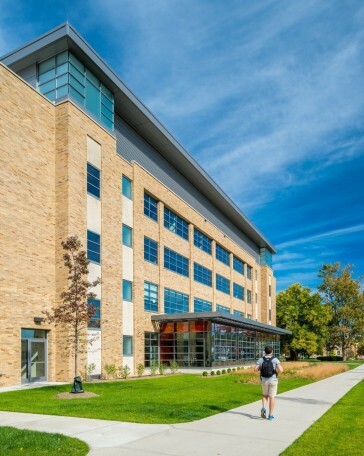 Renamed Kuhlin Center, South Hall is prominently situated on the cross-axis of the Traditions Quadrangle and abreast Wooster Street, the main vehicular artery fronting campus. 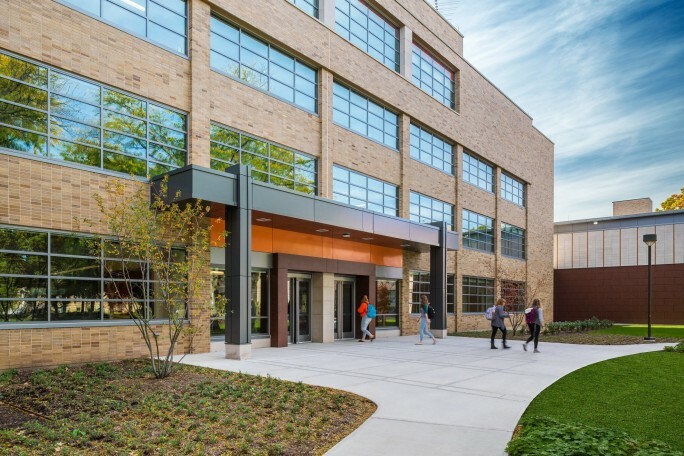 As the new home for the School of Media & Communication, adaptive reuse of Kuhlin Center is a lesson in sustainability and effective shepherding of the University’s financial resources. 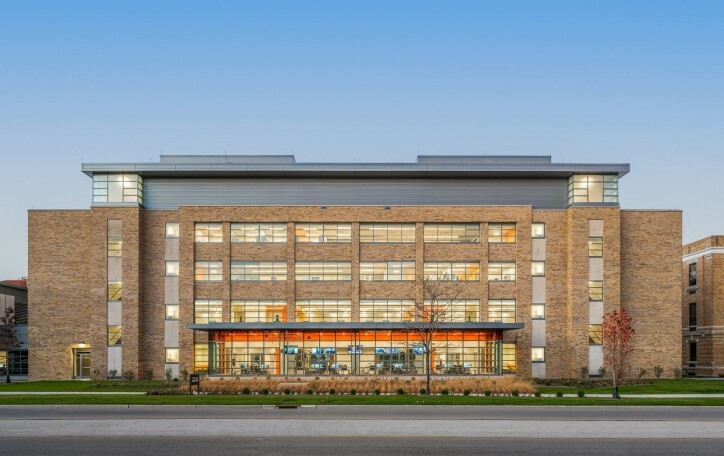 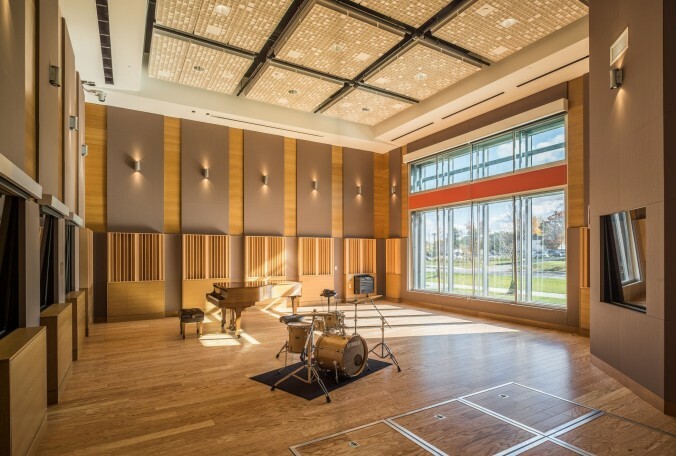 Involving 40,000 sf of renovation as well as an 8,800 sf studio addition, the $20M project ($15M construction + $5M studio equipment) resulted in an impressive transformation. 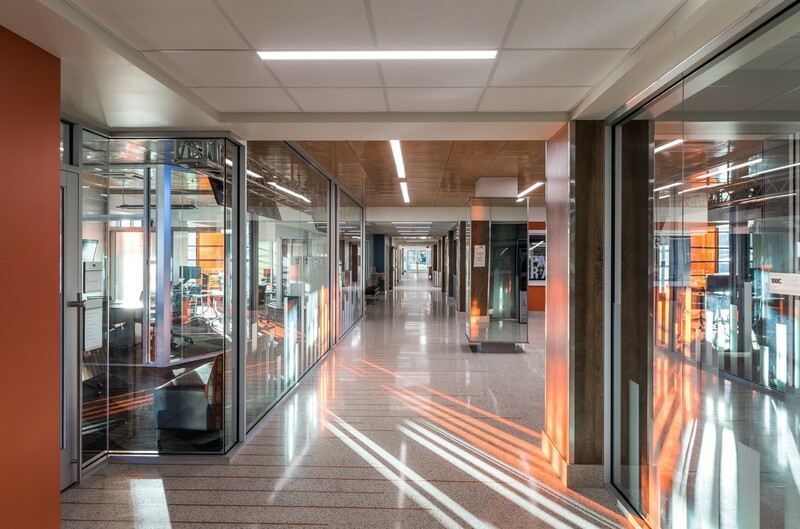 The existing building possessed profoundly low floor-to-floor heights, uninsulated and seismically-concerning exterior walls, little space available for building services, and limited site area appropriate for the large studio addition. Champlin creatively responded, with an interior that exhibits surprising spatial variety, an improved building envelope, a prominent new mechanical penthouse that manifests a distinctive “top” and stature to the building — which it awkwardly lacked, and deftly sited the studio addition within the footprint of an adjacent relocated parking lot, which maintained the integrity of the historic green. 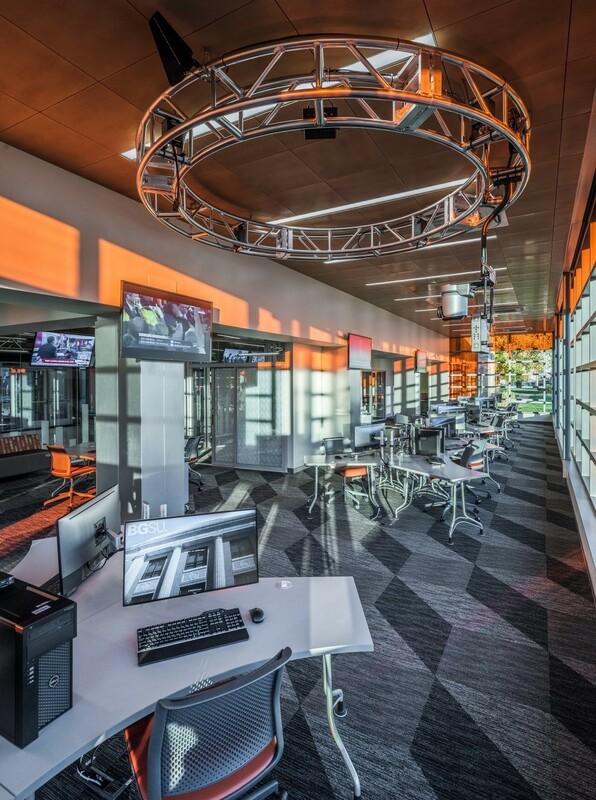 Kuhlin Center offers technologies and spaces whose very configuration advances learning, allowing students to meet the challenges of technological shifts in journalism, public relations, media production and communication. Supporting the broadcast and media operations of the School in order to provide instructional and real-world experience opportunities for students and faculty, this entailed a complete systems integration design package, accounting for current technologies, as well as future advances to ensure longevity in the various production, post-production, media creation, editing, and other broadcast activities housed in Kuhlin Center. 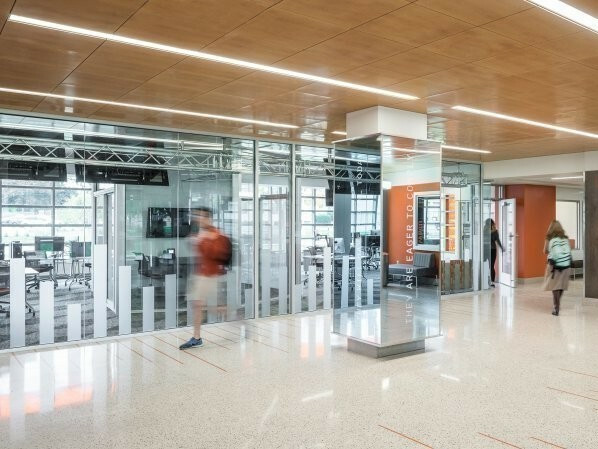 The heart of the School is a dynamic, 24/7, media convergence lab, strategically astride the main entry lobby and conspicuously visible from the street. 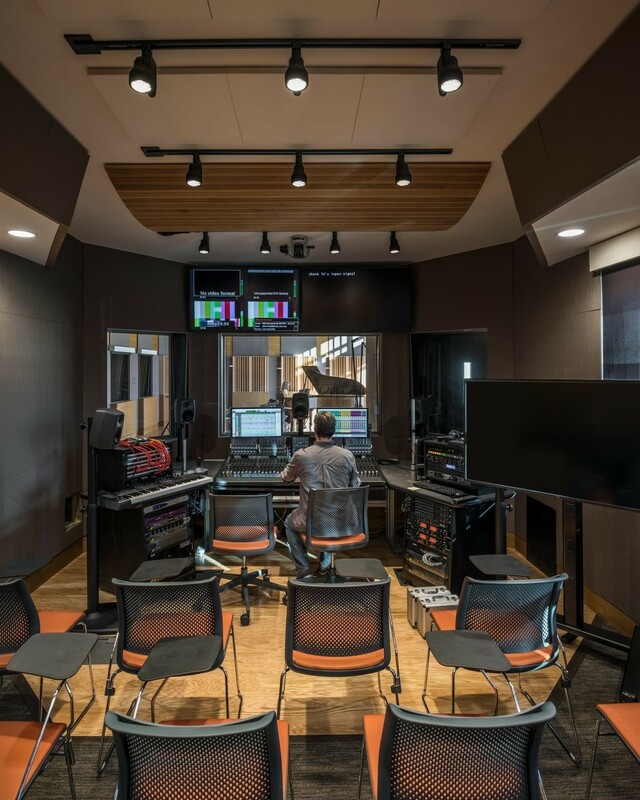 Acoustically-sensitive broadcast, production, and editing studios are designed with isolated floors, ceilings, walls, doors, and windows — and spatial configurations (length:width:height ratios) were carefully planned to optimize desirable acoustic properties. 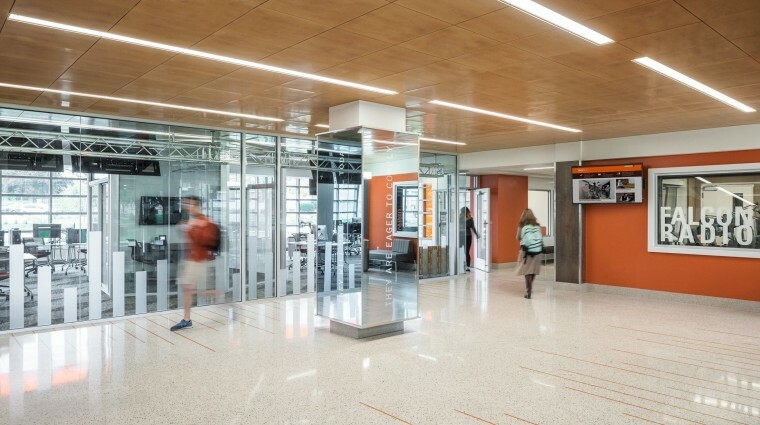 "On behalf of BGSU School of Media and Communication and our offices, I wanted to truly thank you for the great work that your firm accomplished for BGSU. The Kuhlin Center is a wonderful new facility on our Campus. 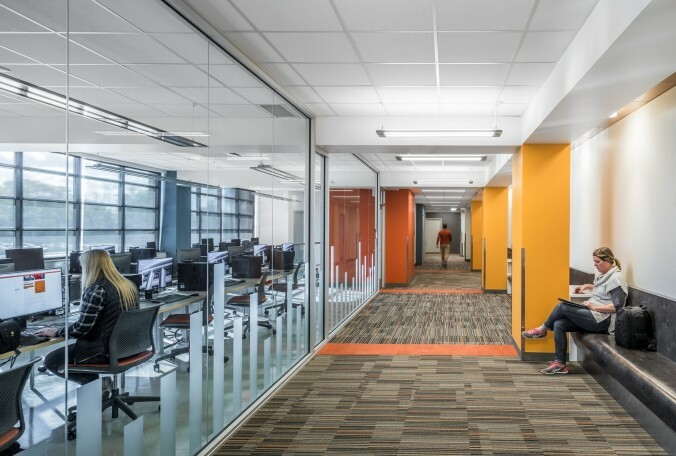 The faculty and students are absolutely thrilled with the building, the incredible interiors, the featured technology, classrooms and office spaces. 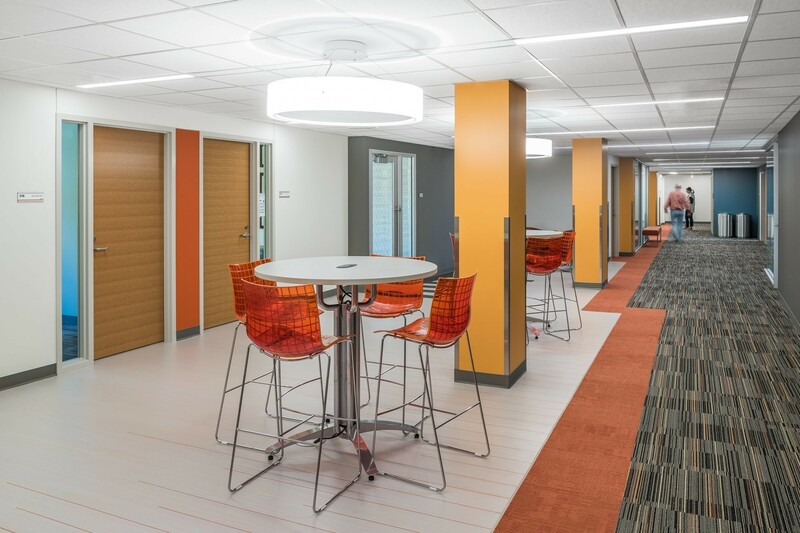 The success of this project was the result of a lot of hard work, communication and diligence from all...Please know that BGSU is extremely grateful for your work and expertise that allowed this building to be so successfully transformed into a Campus jewel."